3000 blk SH 30 W Two vehicles, no injuries. 2500 blk Sam Houston Ave. Unknown suspect used a cancelled debit card to receive goods. 1900 blk Sycamore Ave. Two vehicles, no injuries. 600 blk Ave H Aaron Davis was arrested for City Ordinance Violation and Possession of Marijuana / MB. 600 blk 11th St. Donna Thompson was arrested for Municipal Court Warrants. 400 blk 12th St. Marcus McGuire was arrested for Municipal Court Warrants. 400 blk 12th St. Marcus McGuire was arrested for Possession of Controlled Substance PG 1 / F3. Samantha Ln / Powell Rd. Deion Obryant was arrested on Municipal Court Warrants. 200 blk IH 45 S Unkown suspect stole property. 100 blk IH 45 S Buster Brown was arrested on Municipal Court Warrants. 1300 blk SYCAMORE AVE Christian Singletary was arrested on Municipal Court Warrants. STAR CIR / SAM HOUSTON AVE Sherquallen James was arrested on Municipal Court Warrants. STAR CIR / SAM HOUSTON AVE Daneysja Morning was arrested on Municipal Court Warrants. 1000 blk MARTIN LUTHER KING J DR Joshua Ames was arrested on Municipal Court Warrants. 1000 blk MARTIN LUTHER KING J DR Don Archie was arrested for Criminal Trespass. MURRAY LN / MONTGOMERY RD Ismael Zelaya was arrested for DWI. 140 blk IH 45 S Unknown suspect entered vehicle and stole property. 700 blk CLINE ST Known suspect assaulted family member. 100 blk IH 45 N Dating couple in an argument. 2100 blk SYCAMORE AVE Omar Bocanegra was arrested on Municipal Court Warrants. 2500 blk SAM HOUSTON AVE Nicholas Castleberry was arrested for PI. 800 blk CLINE ST Markus McGary was arrested for Walking with Traffic. 100 blk FM 247 Two vehicles, no injuries. SABRINA LN / VICKI DR One vehicle vs a house, no injuries. SABRINA LN / VICKI DR Subject was cited for possession of drug paraphernalia. 700 blk CLINE ST Billy Craft Jr was arrested for resisting arrest and public intoxication. 100 blk FM 247 Jose Colunga was arrested for DWI 2nd (MA). 100 blk BOLERO WAY Olan Martin Jr was arrested for public intoxication. SABRINA LN / VICKI DR Isaiah Scott Jr was arrested for evading in a vehicle and evading on foot. 700 blk SABRINA LN Isaiah Scott Jr was arrested for a parole warrant. 100 blk MEMORIAL HOSPITAL DR Tamrah Forrest was arrested for criminal mischief (MB) and possession of a dangerous drug (MA). 2500 blk Sam Houston Ave. Corey Whitting was arrested for two Houston County Warrants. 600 blk FM 2821 W Holly Aiken was arrested for Public Intoxication. 300 blk 13th St. Markus McGary was arrested City Ordinance Violation, and Resist Arrest Search Transport / MA. 400 blk Palm St. Gary Prince was arrested for Tampering of Evidence / F3, Poss of Marijuana / MB, DWLI with Previous Conviction / MB, Poss Drug Paraphernalia / MC, and Traffic Offense. 400 blk Palm St. Gary Prince was arrested for DWI / MB. 100 BLK IH 45 N, WFR Daniel O’Connor was arrested for No D/L, No Proof of Insurance, and Reckless Driving. 100 BLK IH 45 N, WFR Susana Almanza was arrested for No Seatbelt. 100 BLK IH 45 N, WFR Susana Almanza was arrested for Evading. 400 blk US 190 Known suspect assaulted another. 2100 blk Sycamore Ave. Unknown suspect entered unlocked vehicle and took property. 3200 blk Old Houton Rd. Known suspected reportedly assaulted his girlfriend. 100 blk Memorial Hospital Dr. Unknown suspect forced entry into vehicle and took property. 1100 blk University Ave. Unknown suspect damaged city property. 3200 blk Old Houston Rd. Trebie Bruening was arrested for Public Intoxication. 600 blk IH 45 S Victorio Valdez, Manuel Villalobos, and Jose Monreal Guiterrez were arrested for Public Intoxication. 2800 blk Lake Rd. Brandion Taylor was arrested for Criminal Trespass / MC. 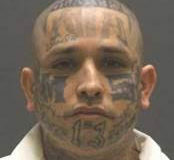 200 blk IH 45 S Roberto Gonzalez Jr. was arrested for Aggravated Assault with Deadly Weapon / F2. Jamal Banks was arrested for Assault Causes Bodily Injury / MA. 600 blk IH 45 S Chase Reinhart was arrested for Public Intoxication. 600 blk IH 45 S A suspicious incident was documented. 2100 blk SYCAMORE AVE An unknown suspect used the victims debit card. 2800 blk LAKE RD Richard Gallaway was arrested for burglary warrant. 100 blk TOWN AND COUNTRY AVE Micheal Foster was arrested for assault family violence and failure to identify. 1000 blk MARTIN LUTHER KING J DR Monique Welch was arrested for a probation violation warrant. 1200 blk JOSEY ST A dating couple had a verbal argument. 100 blk IH 45 S A dating couple had a verbal argument. 1500 blk DOGWOOD DR A dating couple had a verbal argument. FIRST STAR CIR / SAM HOUSTON AVE One vehicle, no injuries. 2100 blk SYCAMORE AVE Unknown suspect entered a residence and possibly took property. 1700 blk 11TH ST One vehicle, no injuries. 1200 blk JOSEY ST Arturo Peralez III was arrested for municipal warrants. 1400 blk 13TH ST Robert McLain was arrested for assault family violence. FIRST STAR CIR / SAM HOUSTON AVE Jesus Llamas was arrested for public intoxication.